Since its inception at the end of the last century, POP AMBIENT has always been a labor of love: meticulously curated by Wolfgang Voigt, these releases never showed much interest in any particular style of the day. Much more genre-defining than trendsetting, they followed their own path and established a unique aesthetic sitting somewhere between experimental field recordings, no-age music and smooth synth pop – we like to think of it as elevator music for the vertically challenged. It’s also been an overflowing pan these last years, with a dizzying array of musicians trying their hands at beatless eletronics with certain time-transcending properties – as good a reason as any to take the brand one step further and introduce our listeners to our freshly minted Pop Ambient album series, where we’ll spoil you with full-length offerings from top-tier tinkerers in the field. 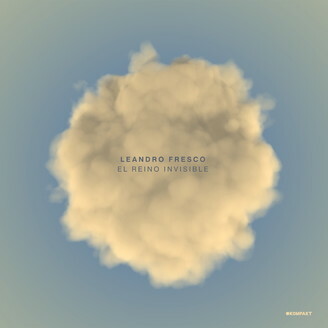 Serving as the series’ glorious first instalment is EL REINO INVISIBLE, a diverse and conclusive collection of beautifully rendered synthscapes from none other than Pop Ambient staple LEANDRO FRESCO. However, this commitment to sonic intimacy on Leandro’s part doesn’t necessarily equal a tragic or pained sentiment: “I do not associate this album with feelings of sadness, but with hope, light and the summer heat, full of cyan and orange colors.” He goes on to make his point abundantly clear with wonderful efforts the like soothing, blissful opener LA EDAD DE ORO, the spacious guitar pluckings of LA HERIDA DEL SOLDADO, the splendidly oblivious SOL DE MEDIANOCHE or the title track, a subtle ambient anthem serving as an appropriately wide-eyed coda. Speaking of the project as a whole, Leandro posits that “the invisible kingdom can be the soul of any person – music that is true to its origins, as melancholic as the tango in Buenos Aires.” This shouldn’t come as a surprise, thanks to the album being recorded in equal parts in the Argentinian capital and San Martin de los Andes, a small, rural settlement town in Argentinian Patagonia, where Leandro’s parents live. Here, he found the peace of mind to focus on his work – resulting in an expertly crafted piece of experimental electronics that are as catchy as they are meditative. Simply put, this Pop Ambient at its very best.